Props to those individuals who do their own home renovations. It saves one the labor expenses. However, DIY home renovations can become more expense if it is not done properly. Most people in Arizona are likely to do home renovations during the fall and spring, the weather is nicer. A common home renovation that people in Arizona do by themselves is installing tile. Having a tile floor, tile shower, tile backsplash, or tile bathroom makes your home look beautiful. If you want to save labor money, make sure you are prepared, well-organized and educated on how to install and grout tile. There are tons of ways to be adequately prepared for a DIY tile project. First of all, have a clear vision of the result. How do you want the floor, shower, backsplash or bathroom to look like when you are finished? One way to have a clear picture is by looking at photos. A picture will help you envision the result you want. Look closely at the details. Pay attention to the layout. Consider the angles that are necessary for your idea. Think about where to begin and be one hundred percent sure about where to place the first tile. That first tile determines the direction of the entire layout. Do not trust the walls. It’s common for people to start tiling by following the wall. Walls are not always straight. Start by drawing a perfectly straight line in the center. Then hammer a 2X4 to the floor to give yourself a better line, and it won’t be covered with mastic. Another thing that you need to keep in mind is transitions. It is going to be a bullnose or pencil tiles? How will the transition area look? Take a few minutes to think about that. A different way to have a clear vision is by asking the professionals. When consulting with a professional it will clear any doubts, and they will ask you questions of ideas that you haven’t thought of. Once you have a clear vision of the result, having the proper tools and workstation is essential. The best and most important tool is a wet saw. The wet saw will give the proper straight cuts that are needed when installing tile. You can either buy a wet saw or rent it. It’s recommended to have a new diamond blade. Working with a used or bad blade may cause frustration. Other tools that will be beneficial is a dremel tool and a mini level. The dremel tool will be useful when replacing broken tiles. The mini level is will keep in check the progress of the tiling. Once you have all the appropriate and necessary tools, equipment and dresswear, having a good workstation is important as well. Set up your wet saw near your work area, having easy access will reduce the back and forth. Have good lighting and you will quickly spot imperfections and mistakes. Before you start, make sure everything is covered with plastic, grout can stain and mastic dries very quickly. Now it’s time to install the tile. While you are installing the tile, keep in mind that every tile is different and there various ways to cut it. Use wax crayons to mark tiles, they withstand the water from the wet saw. Before cutting the tile, ceramic especially, notch the end of the cut first. This trick will be helpful because if the tile wants to crack near the end, it will crack in a straight line. Use a utility knife to make adjustment on tile sheets. It better than cutting it through the wet saw. When it come to the mastic, we recommend to color match the mastic with the grout you are planning to use. Use a proper towel that matches to the project, big square notch trowel for big tiles, or a small v-notch trowels for smaller tile. Apply mastic to the back of the tile for odd shapes, like a hexagon. As you place the tile onto the surface, floor or wall, wiggle to set the tile, wipe off mastic as you go, and press each individual tile into the mastic. Before grouting, pull out spacers and clean the tiles. There are multiple way on how to grout tile. Make a not to use gloves to protect your hands when you handle grout. First, research and aks about pre-mixed and unmixed grout. You save more money on unmixed grout. If you happen to buy unmixed grout, mixed the grout with gallons of water. Water from the faucet will probably leave white haze on the tile after it’s dry. Also, be careful with the water portions. Be aware that sanded grout can scratch natural stones. Other than that, sanded grout is recommended for large joints and unsanded grout for small joints. After stirring the grout with a corded drill, let the grout sit for five to ten minutes. Take your time with grouting. Do small areas at a time. Have multiple buckets of water handy for cleaning sponges while grouting. To wipe grout haze off the tiles, use a dry sponge, not a wet one. For the intersection of two horizontal planes, do not grout them, use a matching caulking. Don’t worry so much about grout getting in the corners. Just scrape the grout off, enough to bead it with a matching caulking. Once you’re done grouting, you might notice that the color of the tile is darker. That’s normal. Marble tile absorbs water, once it’s dry, it will return to its original color. Once the grout dries, sealing the tile is next. Sealing the tile and grout will prevent water from damaging both the tile and grout. Sealing the tile and grout will be the final step of installing and grouting tile. 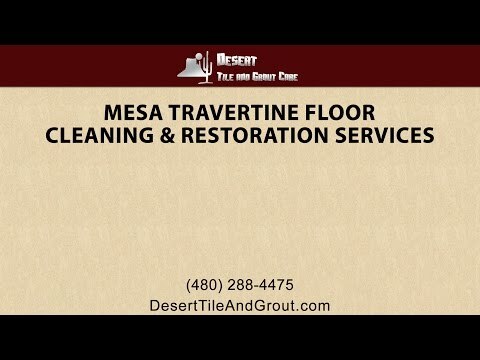 Once the tile and grout is installed in Mesa, cleaning the tile and grout in Mesa is another important method. 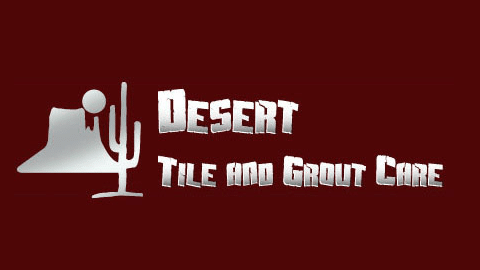 Contact Desert Tile & Grout Care for all your floor cleaning in Mesa needs. We can help keep your tile and grout looking brand new.